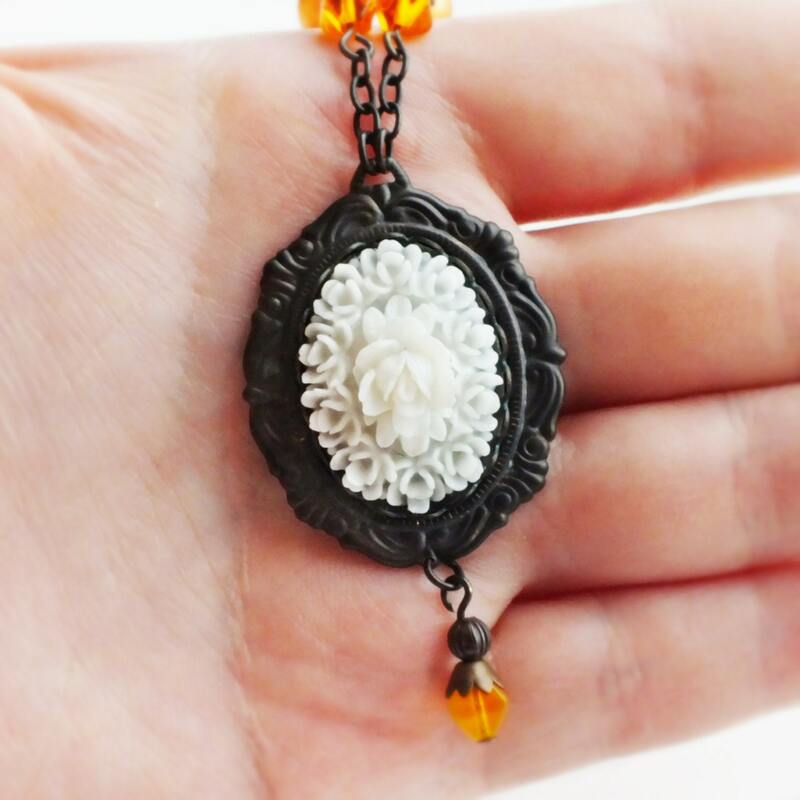 Handmade white rose necklace with large vintage carved resin rose pendant. 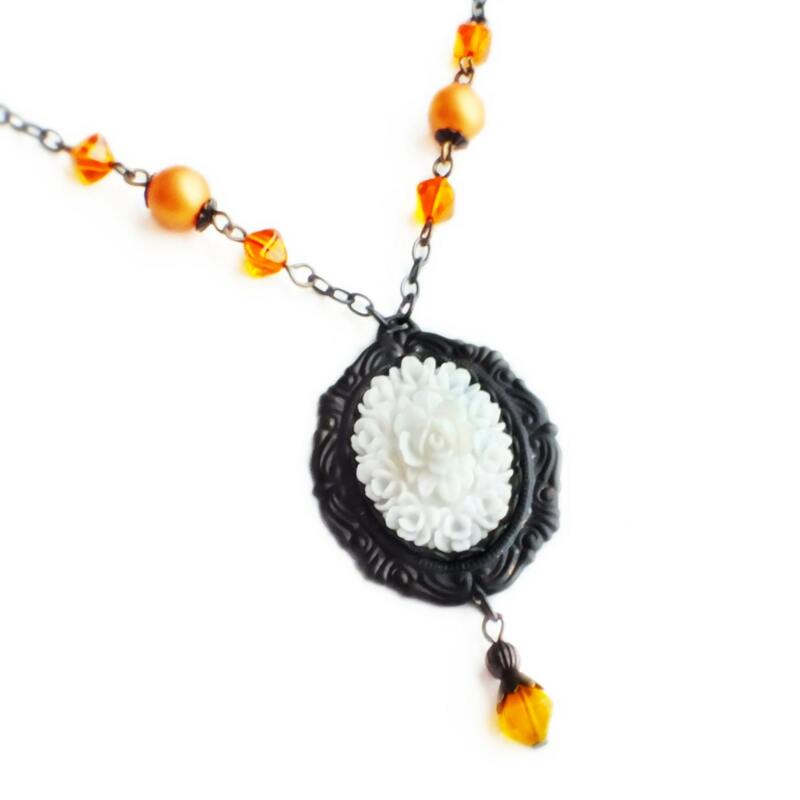 18 1/2 inches - 47 cm long. 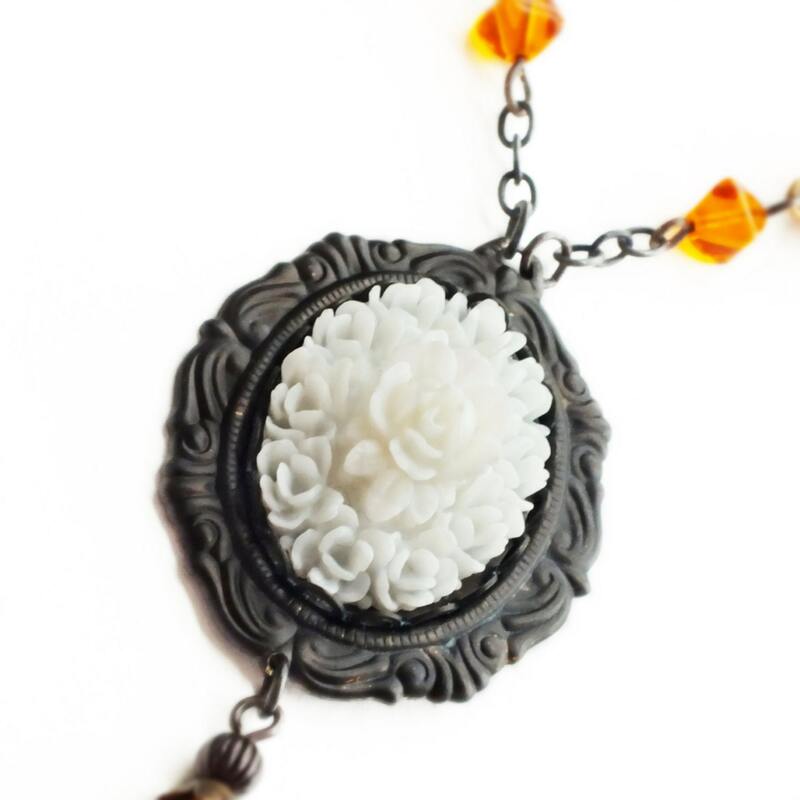 Made with a gorgeous large genuine vintage white resin cabochon packed with carved dimensional roses. 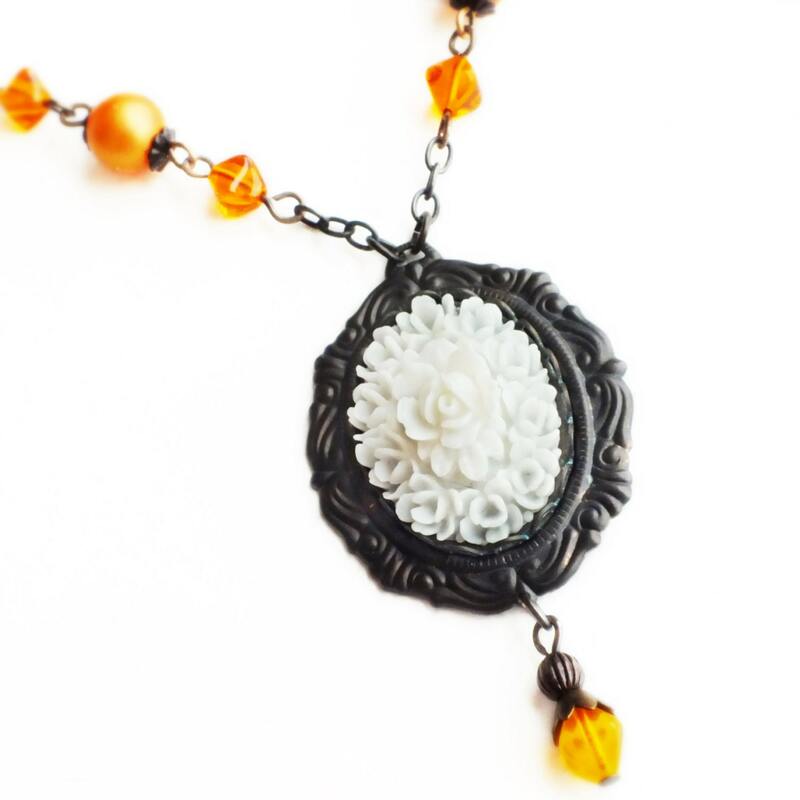 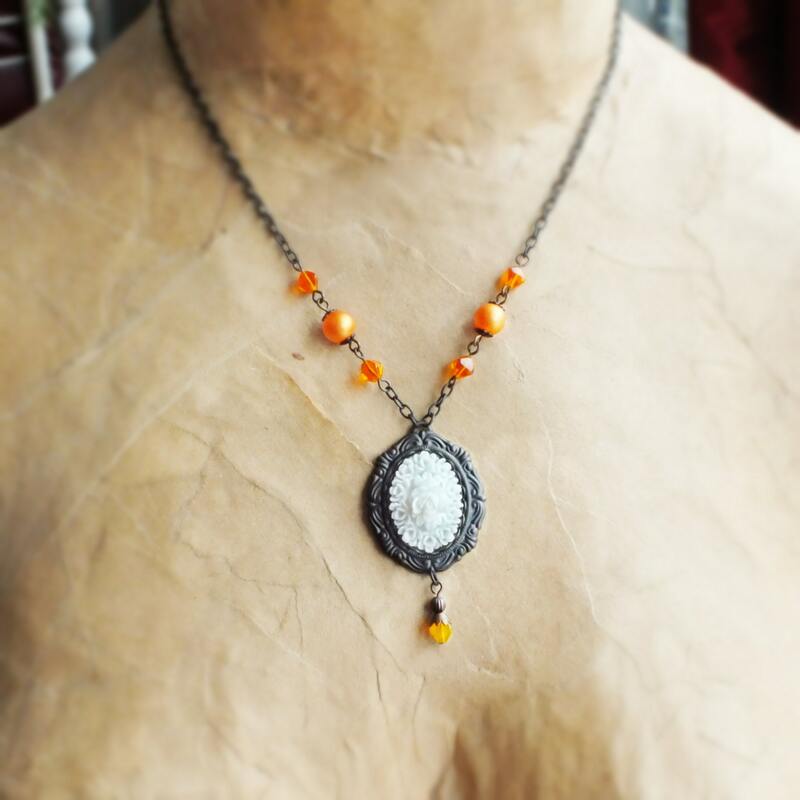 Set in a dark brass Rococo frame adorned with a milky tangerine glass drop and hung from an antiqued brass chain of vintage orange toned beads.